Kriopigi. 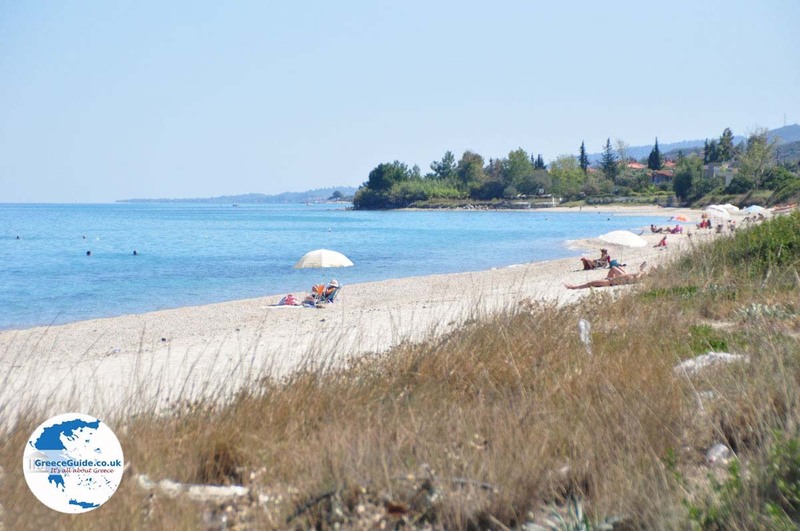 Kriopigi is a coastal village on the Kassandra peninsula of the prefecture Halkidiki. 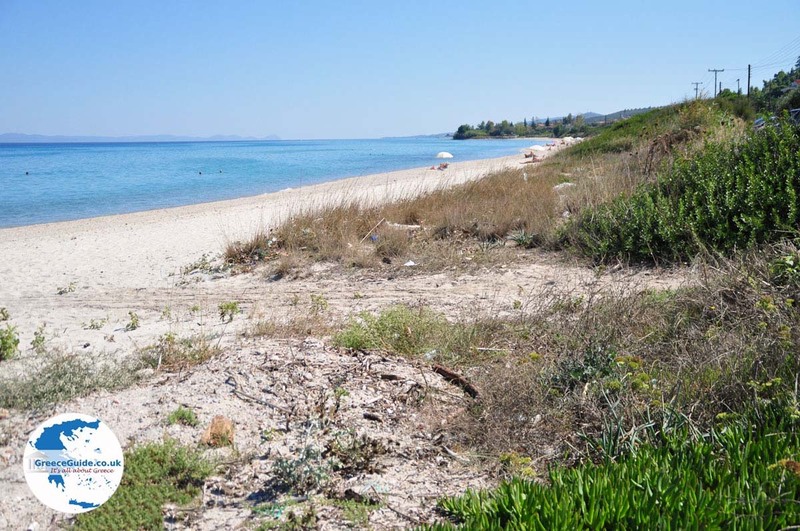 Kriopigi, which literally means “cold source,” is located 90 kilometers (56 mi) from Thessaloniki and 53 kilometers (33 mi) from the capital of Halkidiki, Polygyros. The inhabitants work in tourism, beekeeping, fruit and olive oil production. 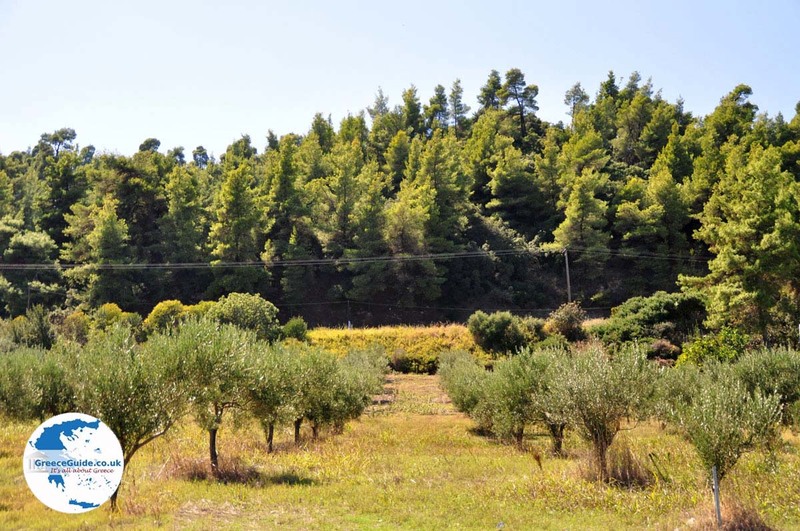 The area is full of springs, green natural surroundings, pine forests and olive trees. This village, which has about 500 people, is split in two parts. 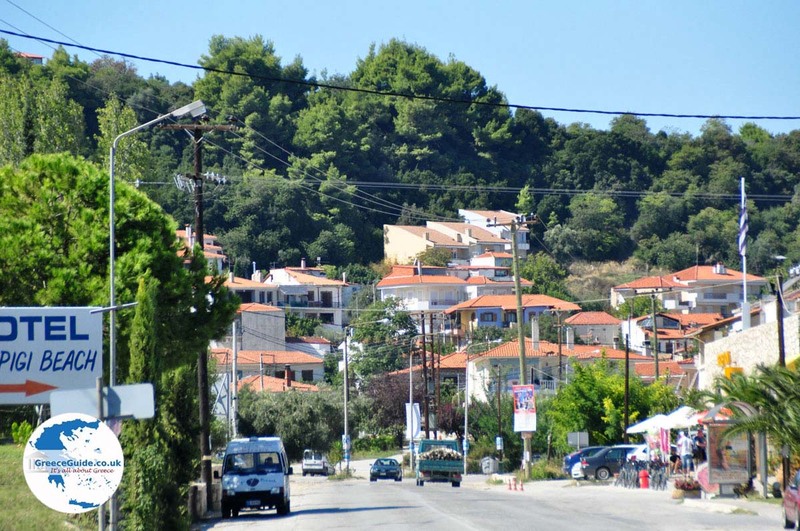 One part is the traditional village atop the hill with an excellent view to the bay of Kassandra. The picturesque houses with ceramic tiles and the narrow alleys are worth a visit. The other part is the coastal part of the village, which is really aimed at tourists. Here you will see some big hotels and many restaurants, bars, shops and cafes. 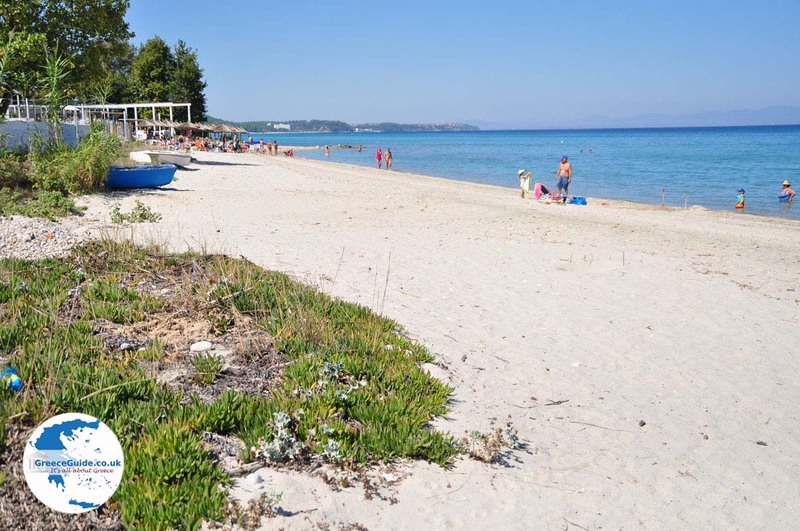 The beach of Kriopigi is named Pigadakia, which literally means “small water wells.” The white sandy beach, blue sea, and green pine trees that reach to the water, provide the ultimate holiday experience for visitors. Kriopigi is a cultural center where various activities and events are organized. There is a train that makes short trips. There is also a small theater where a variety of performances are given throughout the summer. 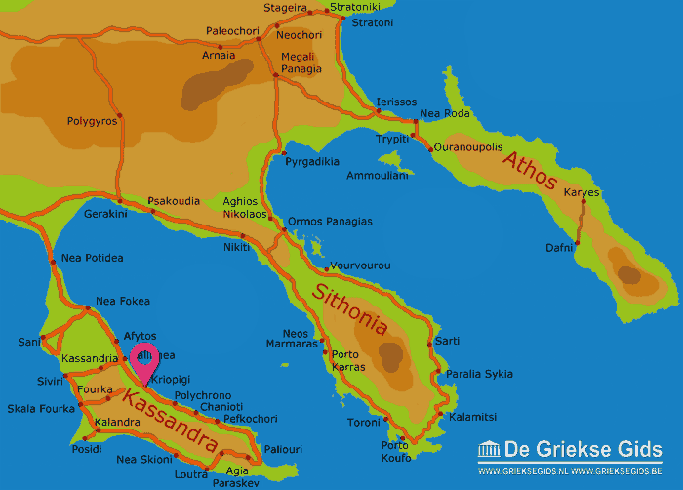 Halkidiki: Where on the map is Kriopigi located?